Day1: You’ll be met at the airport by your private guide in Cairo, so make sure to specify your flight details. After the greeting you’ll be taken to your hotel for some rest before the tour starts. 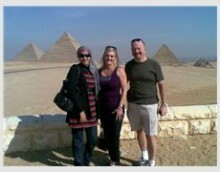 Day 2: An entire day packed with nearly all the ancient attractions of the Egyptian capital. First we’ll travel to the first necropolis to feature the pyramids, which is located in Saqqara. 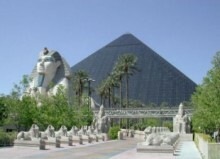 Then we’ll explore the remains of Memphis and its numerous temples. And the final stop will be made at the Giza Necropolis and its iconic pyramids. Day 3: Traveling by an overnight train to Aswan, you’ll have a full day devoted to exploring the numerous attractions of the city, including the Philae Temple complex, the Unfinished Obelisk and many others. You’ll also enjoy a romantic felucca ride around the small islands on the river, before being transferred to your cruise ship. Day 4: Unless you’ll choose the optional trip to Abu Simbel temples, your day will start with the cruise ship taking you to two remarkable temple complexes located in Edfu and Kom Ombo respectively. Day 5: The cruise will take you to one of the most picturesque and abundant cities of the region in terms of ancient sites, Luxor. You’ll have a whole day to explore the ancient wonders sitting on the both banks of the river, such as the Valley of the Kings and many others. Day 6: A more relaxed day on the cruise ship before checking out and being transferred from Luxor to Cairo. Day 7: Another day exploring the sites in the capital, such as the Saladin Citadel (Cairo Citadel) and the Egyptian Museum. Day 8: End of tour and transfer to the airport.